Guess what? 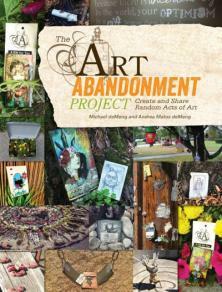 We just got to see the cover for our book the Art Abandonment Project....and it's now available for pre-order. Both Michael and I are so excited about the release of the book, so many people that still haven't heard about Art Abandonment and we just can't wait to spread the word! We're expecting the book to be available by the beginning of April! Woohoo! !